I had the boys try candied orange peels last Christmas. There was a recipe I had wanted to try for years (actual, literal years). I had to track down raw hazelnuts, white pepper, candied lemon and orange peel and candied citron. The result, a tooth-breaking concoction, is a story for another day. In the end, I had quite a large amount of orange, lemon and citron to figure out what to do with, because I will most likely not be trying that again. I really tried to sell those leftover candied orange peels. I explained how people knew how to make candied fruits before there were knights. How the process to make these is involved, taking days of boiling and boiling again and soaking everything in a thick sugar syrup. How this was a way to preserve sweets before electricity and refrigeration. How back in time nothing was wasted, not even peels. How it used to be when you yourself took the time to plant and harvest, raise and slaughter, grind and bake all your own food. The boys took one ginger bite each. “This is what people used to have for candy?” My oldest is grimacing, but trying politely to hide it. “You know, I feel really bad for people back then, that this is all they had. Especially if it was so hard to make,” he concludes. I say what I always say in these cases, “No, honey, you never have to finish dessert.” In our corner of the modern, suburban, American world we are more worried about childhood obesity than wasting an orange peel. It has become scarily easy to gain unhealthy amounts of weight, so I count it as a good sign that my guys are taking cues from their own bodies about when to stop eating junk food. But, we do waste food because we have so much. It is clear it is going to be up to me alone to eat these; no one else will be helping me do so. I cannot just throw them away, especially after all the weight and importance I put on them. I’ve started to feel bad for the Medieval children who would have treasured these, those poor souls my own child pities not because they had horribly short life expectancies or lived in disease-ridden poverty. He pities them for their lack of M & M s and Reese’s Cups. I vow, solemnly, to enjoy them before buying any more treats for myself. If any fourteenth century kids ever time-travel and witness this, I am certain that they would shake me by the shoulders, maybe even smack me around a bit, and throw a very sorry, pitying glance at my son for having to live in the world in which he does. I have fibromyalgia. That means, for me at least, that at any given moment pain or exhaustion can take over my body and steal the rest of my day. I have little to no control over what will push me over, thugh I do what I can to delay that crash. I bribe my body with exercise and sleep, vitamins and a careful diet, meditation and stress-reduction. But I have as little control over its function, ultimately, as I do over the weather. On occasion my nerve endings send pain signals from all over my body, making me believe that I have suddenly been attacked by a swarm of bees. Or that invisible spirits have started stabbing me. Or that an electrical storm has started sweeping over all my muscles, all my bones, all my skin. I sometimes jump up or yell out from the pain. When I am home it is all right. My boys and my husband know what is happening. When I am at my son’s soccer game, and the temperature drops from 68 degrees to 48 degrees in less than an hour, when a real storm rolls in and I am trying to keep my other son warm and dry and make sure my Mom and Dad watching the game are also okay, when I am trying to remember how to do simple addition to get snacks for the team, when my oldest son gets angry at me for insisting he put on his jacket and for not asking him what kind of Gatorade he wanted, when my muscles cramp up so badly I’m twisted up in pain, when my own personal storm has started shocking me everywhere I can feel, when other nice parents are trying to keep up small talk, when something is stabbing my eyes and I want to cry but I can’t, I just can’t, not in front of the whole world, not again, it is not all right. As soon as that soccer game was done, I ran our stadium chairs and my youngest child back to the car. Threw up in the parking lot. Sat in the car and cried. Hoped no one saw that. Hoped that if they did they didn’t think the worst. What the worst is, I don’t know. A sudden drop in temperature, a sudden storm destroyed that day. There was slow, gradual recovery, but I never got the rest of that time back. 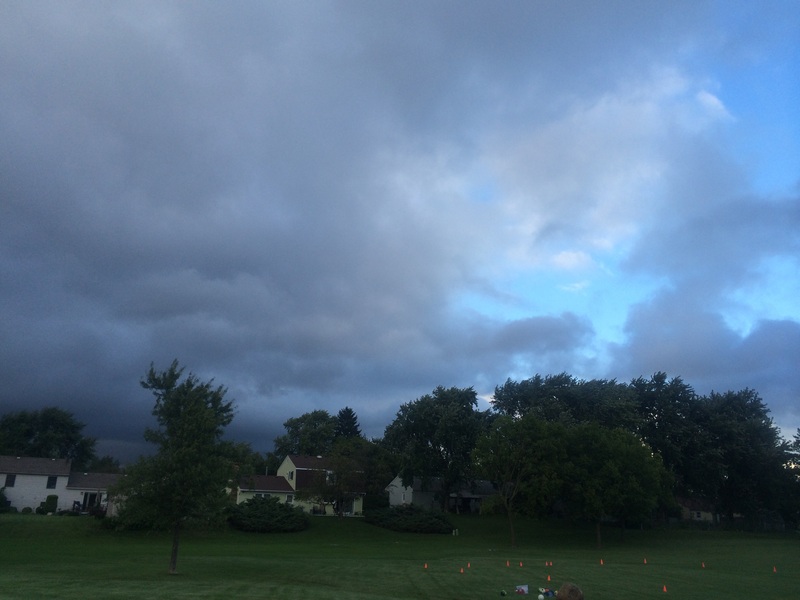 I thought about that day again the other night at soccer practice as black clouds rolled in across the sky, and I tried not to panic and make myself worse. This time the clouds only opened up to a drizzle and my body didn’t betray me. I thought quickly enough to stop myself from yelling to the sky, “Why? Why not this time? What did I do to deserve that last time? What did I do to deserve this now?” Instead I was able to laugh dryly for just a second. I muttered quietly to myself or God or someone, “Thank you. Thank you for letting this time not be as bad.” Though, I would still like to know why. 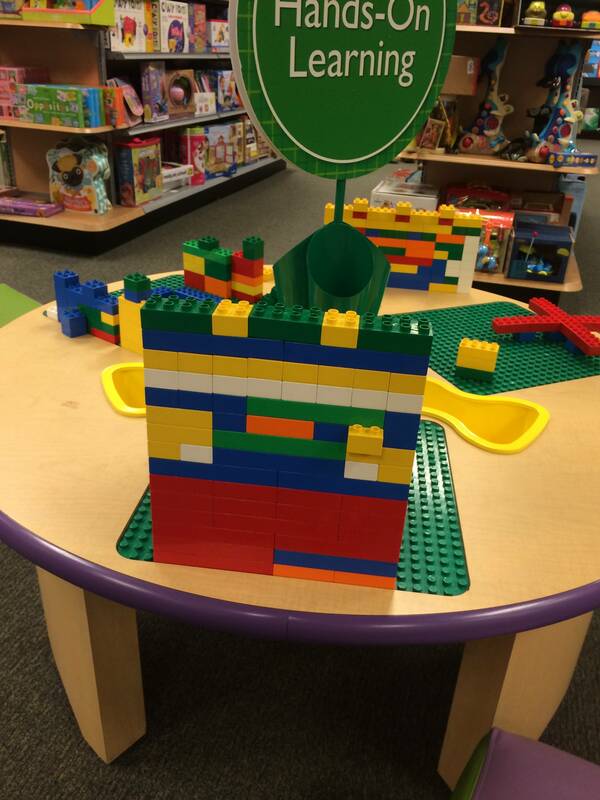 Legos can be…tricky. Like a blank page and all the words in the English language, a bucket full of pieces seems to offer infinite possibilities for creation. When you get into constructing your vision you start to see all the problems: how two pieces won’t actually fit, or how it doesn’t look how you imagined it or how it could fall apart at any second. It can be difficult when it looks easy. My youngest had been working very hard and very frantically at building a spaceship with Legos. Because he wanted it to be something no one had ever dreamed up before, his older brother and I couldn’t help with its architecture. We couldn’t really point out where a wing could be reinforced or where landing gear could sit without being knocked off the first time it “landed”. He had a vision we couldn’t see yet. I had been casually calling out to the living room, “Hey buddy, dinner’s almost ready,” while getting out dishes and turning off timers. As I brought one thing after another to the kitchen table, I could glimpse him with the Legos on the couch. I could sense him getting angrier and angrier, and I just assumed he was mad at me for interrupting his game. A little annoyed that he was getting annoyed, I tried one last time to get him to the table to eat. “Hey, come on now, you need to come to the table. I gave you fair warning that it was time.” At that he let out an anguished cry and threw his whole spaceship to the ground. It broke, scattering hard-edged colors in every direction. “What on earth was that?” This is not a destructive kid. Except for one strange week near his fourth birthday, he has never thrown or broken anything. He screamed back at me, “I couldn’t get it right!” With his eyes scrunched tight and hot tears coming down, I could see him as an adult throwing a thick manuscript into a fire. A bitter, worn, angry old man willing to call his work garbage because it wasn’t what he wanted it to be. Destroying every word, every sentence, every page all at once. When he looked down at what had really become of his spaceship, he saw that not one part could be salvaged. The horror of what he had done overwhelmed him. I’ve never seen him sob so hard. I held him for a while but I couldn’t really calm him down. I tried to convince him that maybe using the bathroom, eating, resting would help. Eventually he sat in his own chair in the kitchen, quiet. Even more quietly, he slid out of his chair and into the living room. He sat on the rug and for the next twenty minutes he rebuilt his spaceship. When he was done he came back to the table and ate his now-cold dinner without a word. His older brother and I ate silently, watching it unfold. I’ve heard experts say please, please let your children fail when they are still children. Let them lose a game, mess up a friendship, fall off the playground without intervening so much. Their lives are going to be filled with problems and they need practice solving them when the stakes aren’t so high. Let them work through difficulty instead of rescuing them. This time, even if I had wanted to, I couldn’t rescue him from his creative frustration and I certainly wasn’t able to comfort him. I got to watch him decide what to do about that demon that told him his creation wasn’t good enough, wasn’t right. He wept over the aftermath of destroying it. He decided on his own that it was imperative to try again. At bedtime, I told him I was proud of him. One day it might be an entire manuscript that he wants to hurl violently away. And maybe some memory of this, quiet and still, will make him pause before he can do it.